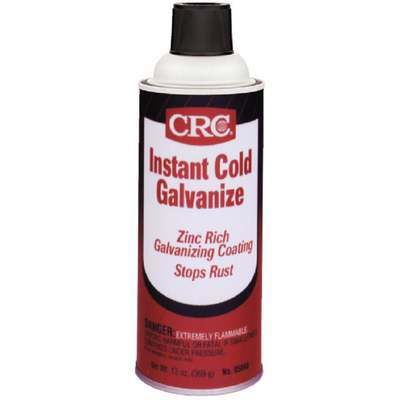 Fights rust and corrosion with 95\% pure zinc which forms a tough, flexible coating. All the protection of hot-dip galvanizing with the convenience of a quick and easy spray application. Dry to the touch in 15 minutes, it forms a smooth, matte gray finish. 13 oz. net weight.